Of all the intriguing concepts in my gathering of "untranslatable words," few are stranger or more alluring to me than those hailing from Japan. Okay, having read Edward Said, I'm wary of the risk of "orientalizing" this fascinating country, of romantically constructing it as the mystic "other." But that said, as someone who is captivated by Buddhism, I'm entranced by those Japanese words which seem to crystallise its insights in a direct yet poetic way. Indeed, there is a rich and vibrant tradition in Japan of communicating the wisdom of Buddhism -- and Zen in particular -- through the subtle yet potent vehicle of aesthetics. In fact, aesthetics are particularly effective at doing this. Zen aims to bypass the limits of conceptual thought, and to "point directly" into the "suchness" of reality. And, art is uniquely effective at just this kind of pointing. As such, Japan has developed a myriad of art forms -- from flower arrangement to swordsmanship, poetry to painting -- to articulate and facilitate spiritual insights. Among these spiritual insights are certain perceptual-emotional "moods" that Zen aims to evoke. 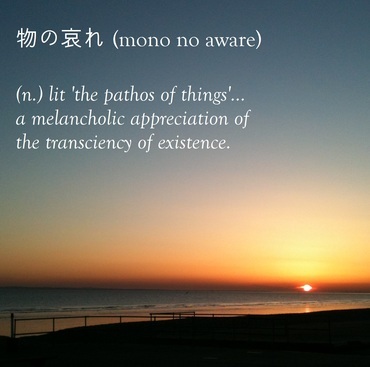 According to the great Alan Watts, who was so influential in helping bring Zen to the West, three key moods are treasured above all: mono no aware, wabi-sabi, and yūgen. I should like to dwell here on the first of these, mono no aware (物の哀れ). The proud do not endure, they are like a dream on a spring night. Recognition of the impermanence and transience of life is a central tenet of Buddhism, and indeed of most Eastern philosophies. Buddhism holds that life is marked by three key qualities. The first two are impermanence and insubstantiality, referred to in Japanese respectively as mujō (無常) and muga (無我) However, unfortunately, most of us live in denial or ignorance of mujō and muga, clinging resolutely to phenomena that are intrinsically subject to change. This kind of clinging is then the cause of the third "mark" of existence, namely ku (苦), which translates as dissatisfaction or suffering. However, the promise of Buddhism is that liberation can be found through a deep understanding and acceptance of mujō and muga. What if we could learn to see all the world through such eyes? 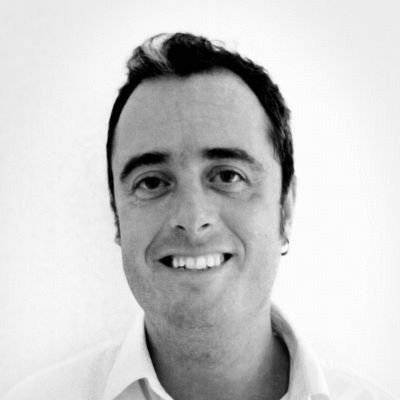 Lecturer and researcher in positive psychology at the University of East London.